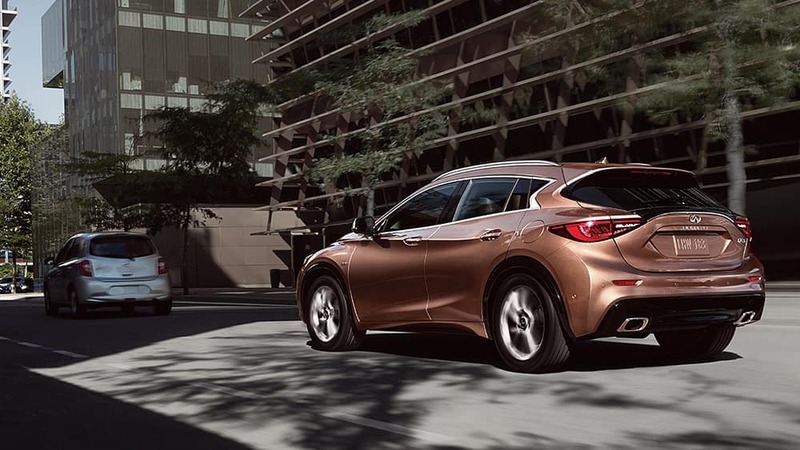 The INFINITI QX30 specs for each trim level boast this 208-hp engine, from the QX30 Pure to the QX30 Essential. Finely-tuned cruise control technology lets you choose the speed and distance between the vehicle in front of you, and it automatically adjusts. The available sleek panoramic moonroof has an electric shade that brings the sunshine in with a touch of a button. Intuitive access to your smartphone contacts, music, and navigation is yours. Plus, you can make hands-free calls and send texts with voice recognition technology. QX30 Pure. Includes 4-way driver’s power lumbar support, leather-wrapped steering wheel, and second-row 60/40 split folding seat. QX30 Luxe/Luxe AWD. Adds leatherette-appointed seating and 8-way power-adjustable driver and front passenger seats. QX30 Essential/Essential AWD. Takes it up a notch with enhanced LED interior ambient lighting and leather-appointed seating. QX30 Sport. The sky’s the limit with integrated head restraints added to the 8-way power driver’s and front passenger’s sport seats and almost every option standard or available as an upgrade. Ready to Compare the INFINITI QX30 Trim Levels? 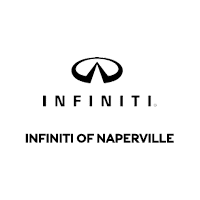 Experience the INFINITI QX30 trim levels in person by scheduling a test drive at INFINITI of Naperville, near Chicago and Lisle.